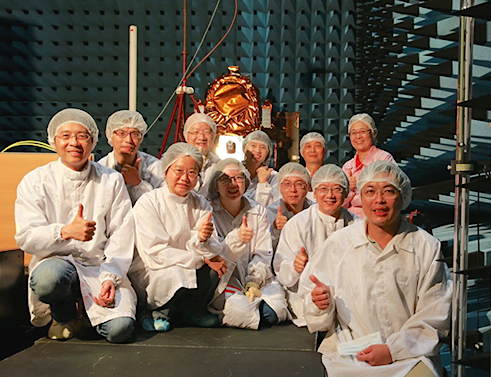 Taiwan's launch of FORMOSAT-5, scheduled for this Thursday, will be the first space program in which National Space Organization (NSPO) takes full responsibility for the complete satellite system engineering design including payload(s). To promote the space science experiment and research. FORMOSAT-5 will operate in a sun synchronous orbit at 720-km altitude with 98.28-degree inclination angle. Similar to FORMOSAT-2, an optical Remote Sensing Instrument (RSI), which provides 2-m resolution panchromatic (PAN, black and white) and 4-m resolution multi-spectral (MS, color) images, will be the primary payload on FORMOSAT-5. The primary payload consists of one PAN band with 12,000 pixels and four MS bands with 6000 pixels each. In addition, a scientific instrument, Advanced Ionospheric Probe (AIP), has been chosen as the secondary payload. The National Central University (NCU) is responsible for developing the science payload. The FORMOSAT-5 program consists of Space, Ground, and Launch segments. The launch segment includes the Falcon-9 launch vehicle. As a FORMOSAT-2 follow-on program, the first NSPO self-reliantly designed satellite, FORMOSAT-5, is scheduled to be launched on August 25, 2017 (Taiwan Time) by SpaceX's Falcon 9 from Vandenberg Air Force Base, California, USA. The 450-kg satellite will operate in a two-day revisit Sun-synchronous orbit at 720 km altitude and 98.28 degrees inclination. 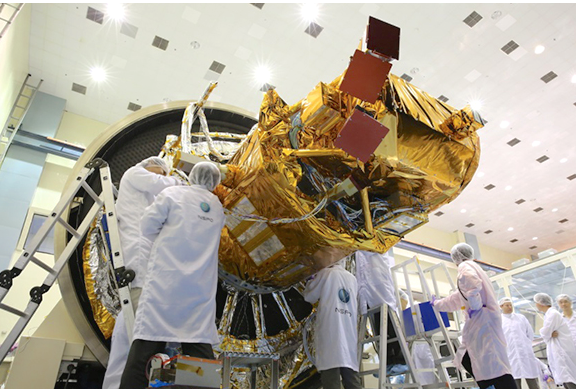 FORMOSAT-5 will provide two-meter panchromatic and four-meter multi-spectrum images at various processing levels; also offer state-of-the-art ionospheric space science data for the geoscience researches. In addition to indigenous payloads development, NSPO is also responsible for the development of the key spacecraft components, ground control systems, and image processing systems. FORMOSAT-5 is to embark on a five-year observation mission around the globe. FORMOSAT-5's global coverage capability, smart agility feature, and pioneer of using a CMOS sensor for a commercial optical Earth observation satellite will bring even broader research applications to the geoscience community.